This is probably right up there as one of our favorite Hootsuite features. Social media newsfeeds move quickly and what you post at 8 a.m. might not be seen by the potential client that logs into Facebook or Twitter at 2 p.m.Besides sitting at your computer posting constantly, how can you be sure your updates are appearing in front of important consumer eyes? You schedule your posts. Hootsuite makes this easy with their scheduler; you can schedule one post at a time, mass upload posts via CVS using the bulk message uploader, and see all your scheduled posts in the Publisher calendar. If you’re more than a one man (or woman) show, you probably have multiple people managing your various social media accounts. Hootsuite is great for keeping track of who’s replied to comments, answered questions, posted to various accounts, and it also tracks what time everything was done – to better spread out your postings throughout the day or week. Another perk is that you can give multiple users access to your various social media accounts without having to reveal private information, such as passwords. Hootsuite has its own built-in metrics and analytics. We blogged about it last April when they revamped their offering. Check it out, there’s lots of analyzing power built into the dashboard. 4. No logging into multiple accounts. Having everything in one place is a huge time saver. Without Hootsuite, we’d be logging in and out of social media accounts for clients all day long. We can imagine you feel the same way trying to manage your time with social media because, let’s be honest, it can be a full time job. We can testify to that too; it’s how we make our living! From your Hootsuite dashboard you can send, schedule, track, like, comment, reply, and view photos on multiple accounts on Facebook – personal and business timelines, Twitter, LinkedIn, and Google+. 5. Hard to miss comments. This ties into number 4, sometimes things get lost in the shuffle when you’re logging in and out of multiple accounts. Using Hootsuite, you can see everything all in one place. It’s easy to see whether someone has commented on your Facebook post, or sent you a direct message on Twitter. It’s also easy to see if a team member has already replied, or whether you need to get on that right away. There’s nothing to download with Hootsuite, it’s entirely online which is great for business owners and employees that are frequently out and about throughout the workday. You can log in, check the status of your social media accounts and post updates from anywhere with an internet connection. Hootsuite offers users an impressive package for the affordable price of $9.99 a month for the Pro version. For a smidge under $10, you can link unlimited social profiles, add 1 free team member, you get a free analytics report, Google Analytics and Facebook Insights integration and more. If you want to add additional team members, it’s $15 a month each – which is still an excellent deal. If you blog, you can add your feed and your posts will automatically be posted to your various social media accounts. You can add unlimited RSS feeds with the Pro version ($9.99 a month). Now, in the interest of full disclosure, here’s an article on why you should not use Hootsuite. 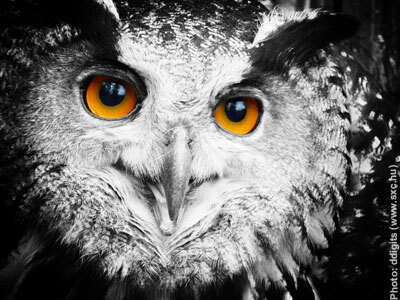 We’ll let you be the judge – do you think Hootsuite is a reasonable investment for your business?